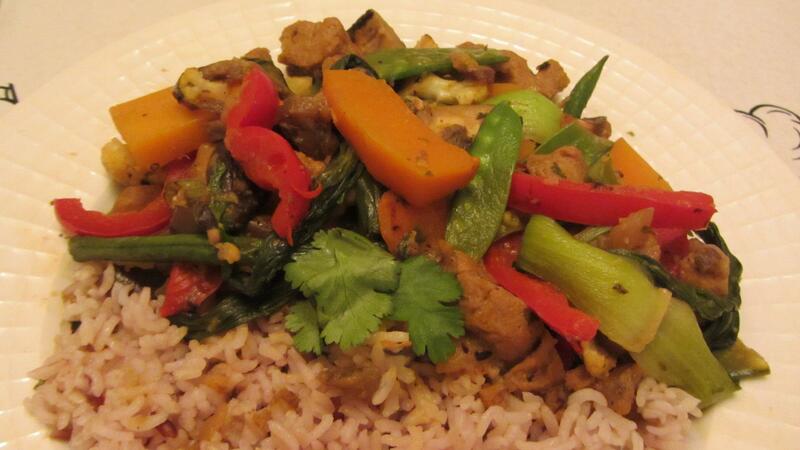 Tonight I made a delicious Vegan Veggie Curry with Seitan. Here’s a recipe! Please post a comment if you make it, and feel free to ask questions!! Combine all of the above ingredients to taste in a food processor or blender and whizz till pureed. Add salt, pepper and a little water if necessary. Voila! Curry paste! 1) Into a saute pan, first add the 1T neutral oil. To this, add the onion, carrot, garlic, curry powder and saute for a few minutes. 2) Add about a 1/2 cup water. 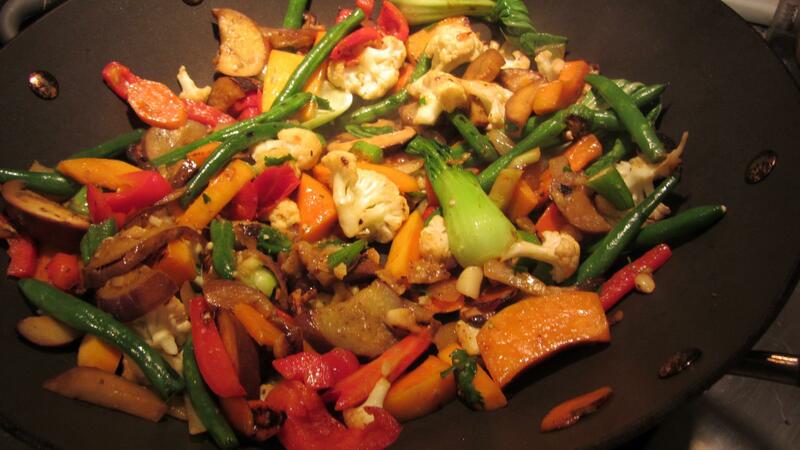 3) Add all of your other chunky veggies, and seitan if you like it on the softer side. 4) Add the curry paste and stir in. 5) Add more coconut milk to taste (1/2 cup – 1 cup or so), and stir in about 1T. brown sugar or agave syrup. 7) Add chopped fresh red and yellow tomatoes. 8) Add chopped fresh cilantro. 9) Serve over rice! Marvel over your delicious creation!